Imagine for a moment that you appear in a film adaptation of one of your favorite books. Imagine this book was deeply transformative in how you view life, and how you relate to God. Now, imagine watching that move in a theater which was absolutely packed with your friends and family. In one room were the people who raised you, and the people who grew up with you. Those people are sitting next to your friends from church, and next to them are your coworkers and even your boss. It sounds like a dream, doesn't it? It happened to me last night. I can't possibly explain the experience or the emotion. If you've never seen yourself projected at 4K on a movie screen, you simply can't be prepared for how surreal an experience that is. You also can't imagine what it's like to see a film about the intersection of Christ and culture surrounded by people from every part of your social sphere. Or what is is like to hold your wife's hand as you watch a film that redeemed you. It was this movie that drew me back to God after I had decided He was not real. To share in that narrative after so many nights of tears and struggle and an attempt to find common ground between Faith and Doubt was profound to me. Moving. Of course, she looked cute on that big screen too. I can't imagine what my friends of faith thought about some of the content in Blue Like Jazz. I run with a pretty theologically conservative crowd, but they aren't a stereotype. The people of the Immanuel Church in Tallahassee are absolutely obsessed with living out the Love of Jesus for All. You've never met a group more open to people. There may be a debate about gay marriage, but I can tell you exactly how Immanuel people relate to gay people: with a hug. Still, I am sure Blue Like Jazz took paths many of my friends have never considered. Here is a movie about faith and it is very real. The language is profane. The themes are sexual. It is Mature with a capital "M."
And what of my friends who are spiritual, but not formally so? What did they get from this film? Did they see that there are many of us Christians who want to learn how to live out or faith in a way that doesn't make us a people who stand against things, but instead a people who stand for things? Do they see that we want to stand for love, acceptance, equality, human rights and the reduction of suffering? Do they see what Jesus means to us? And all of my friends, do they see why I wanted them to be there? So that I could show them, all at once, that I am sorry for every time I have failed to represent my God faithfully? Every time my temper is too short, or my dogma to long? Every time I have let the opportunity to speak a Word of Peace or Love to pass? 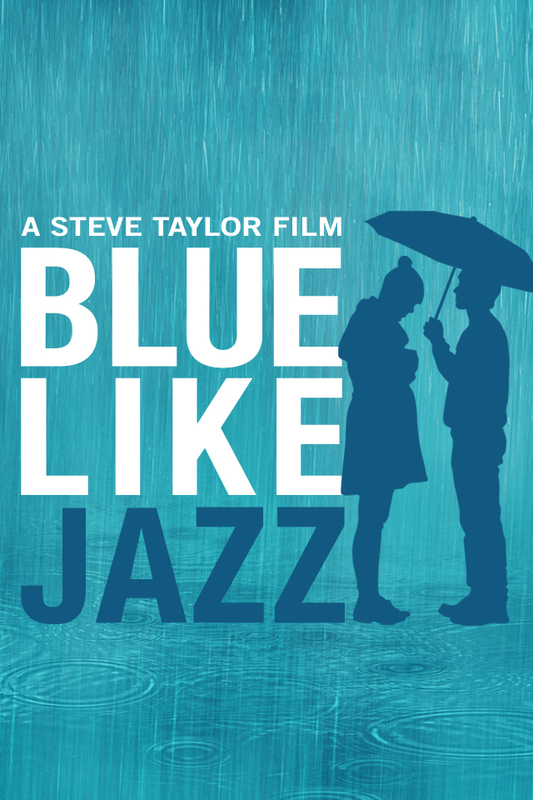 Do they see that the reason I love Blue Like Jazz so much is it makes a statement: we Christians are not God, and sometimes we act too much like we are. Do they all see that I love them? Every one of them? That I wouldn't trade one of them for anything, or that they are always on my mind? That God fills my heart with a profound concern for their well-being, happiness, and joy? If they don't know it I need to watch this film again and again until I live out my love for them every moment of every day. That, after all, is what Jesus does for me.